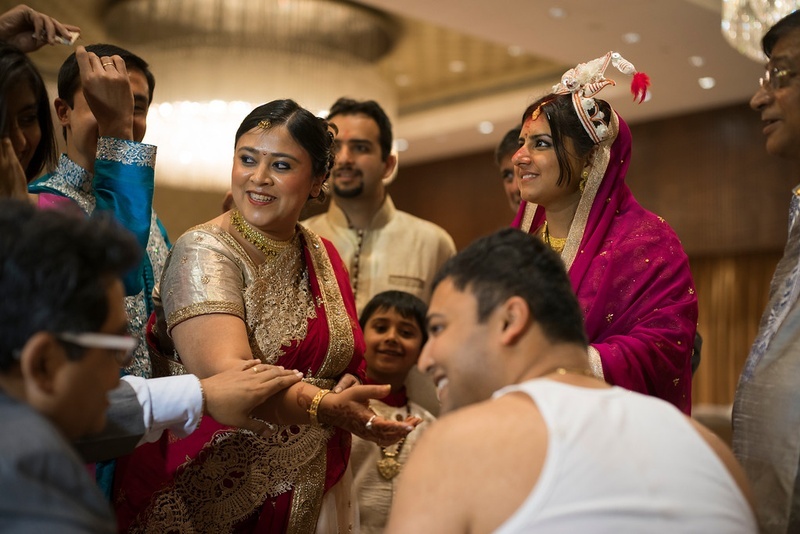 Shraddha and Rohit tied the knot in a joyous Bengali wedding ceremony, held inside a beautifully decorated banquet space. 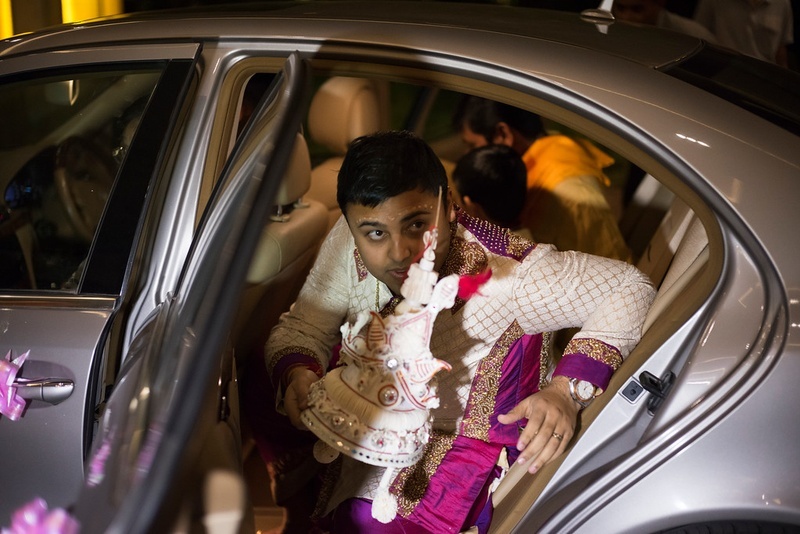 Dressed in a traditional Bengali groom outfit with rich accents of pink and gold, Rohit arrived at the wedding venue in a luxurious car. 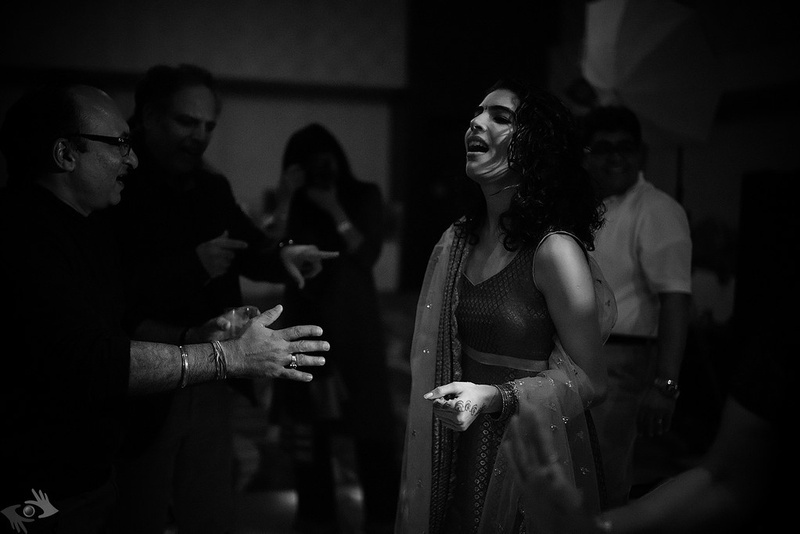 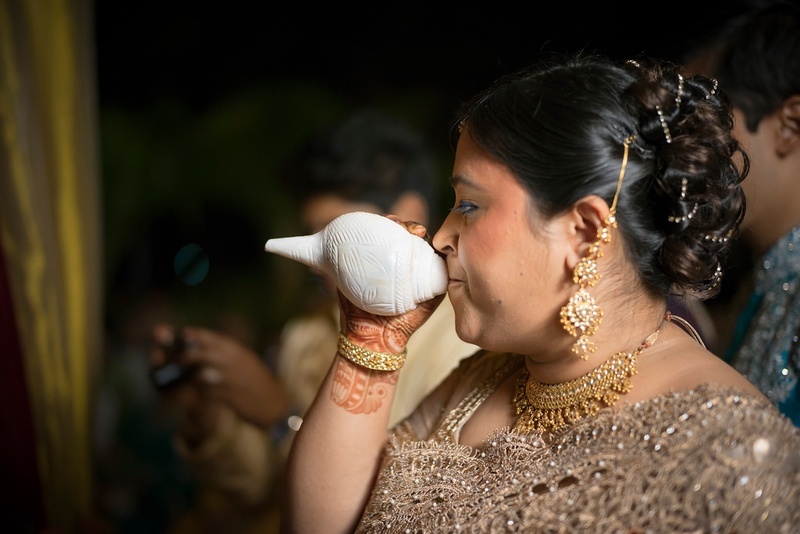 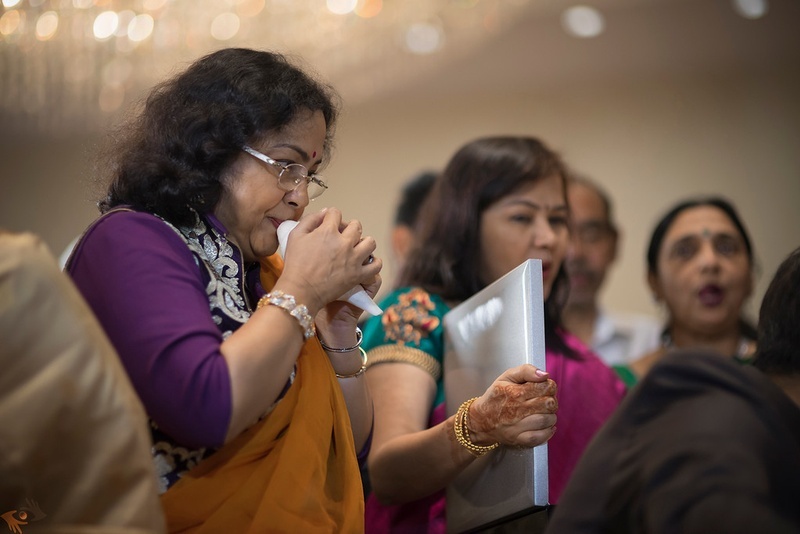 With the sound of shankha, the entire family enthusiastically welcomed the groom. 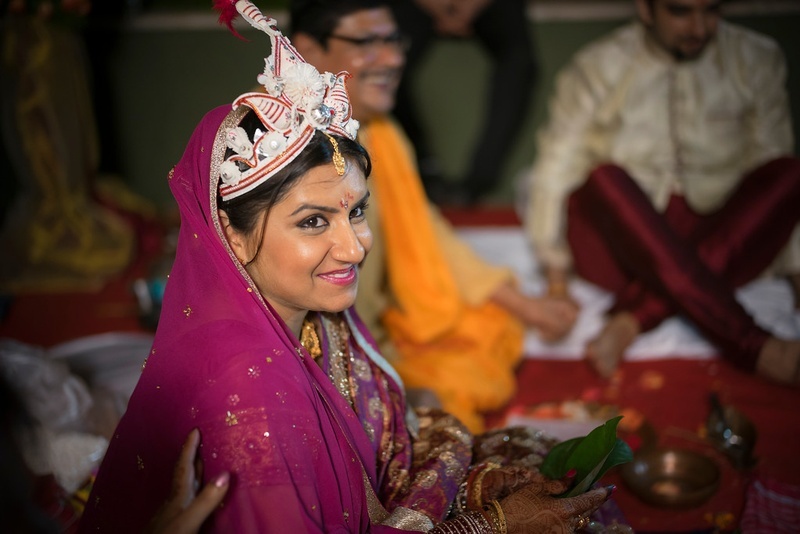 Shraddha too had a traditional Bengali bridal outfit on and accessorized the look with a mang tika and the ceremonial mukut. 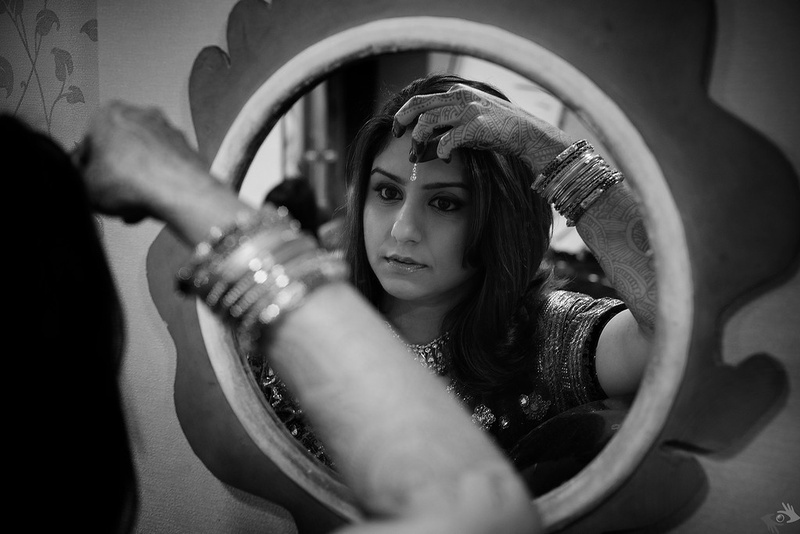 Her impressive bridal make-up complimented her entire appearance. 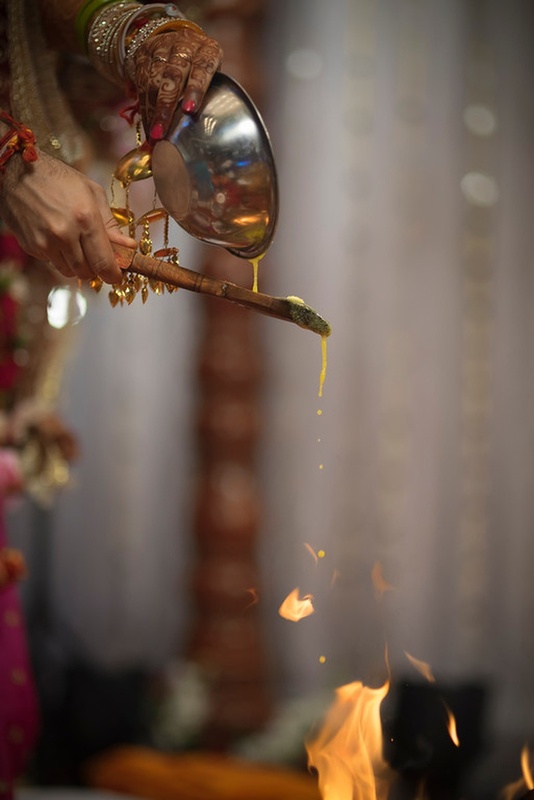 The bride and the groom collectively performed each and every wedding ritual. 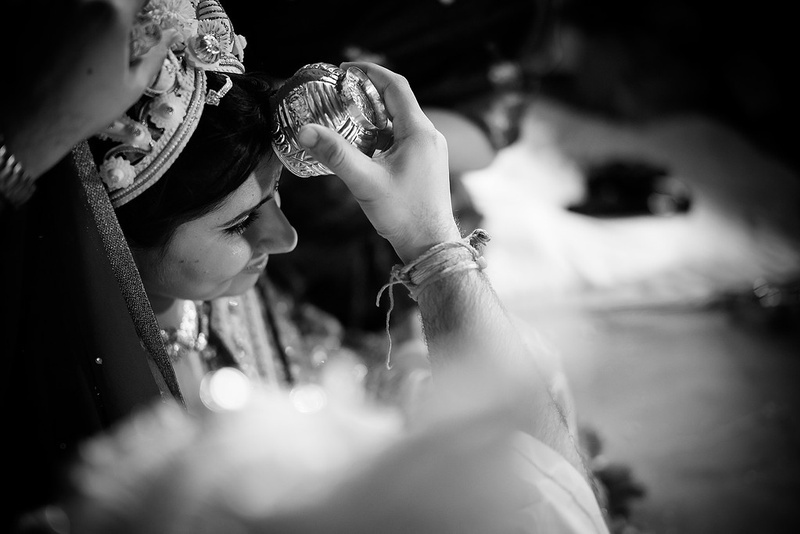 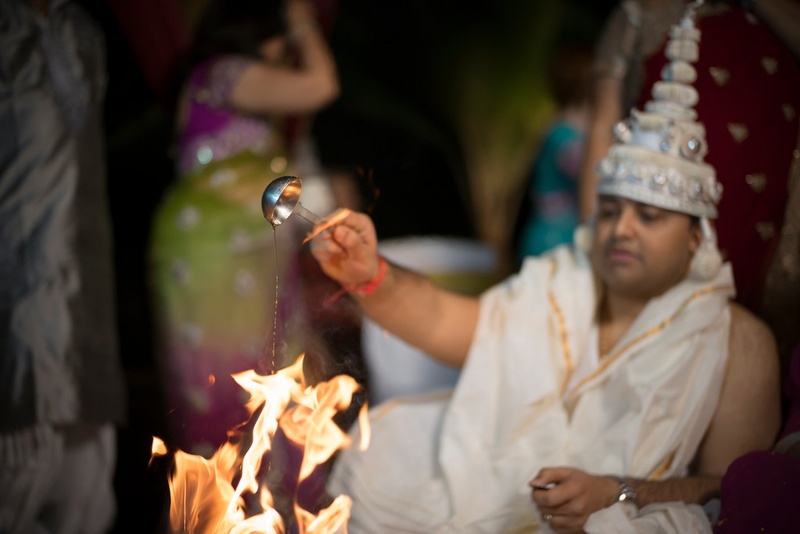 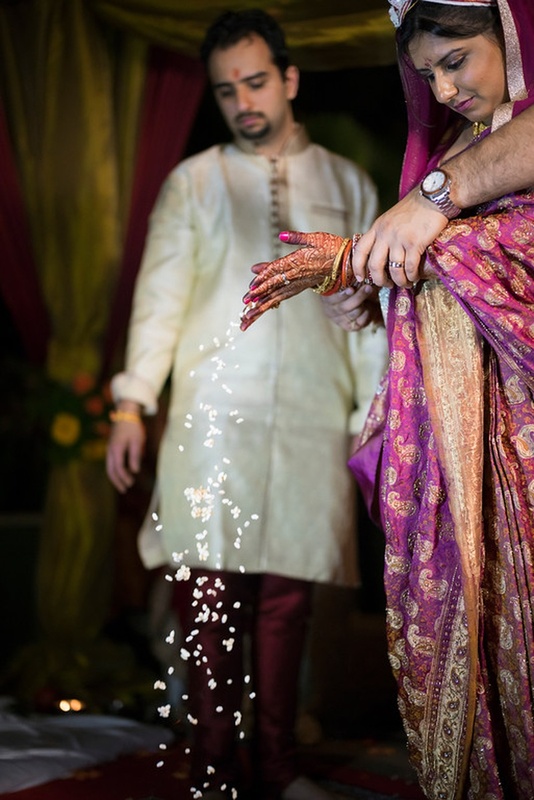 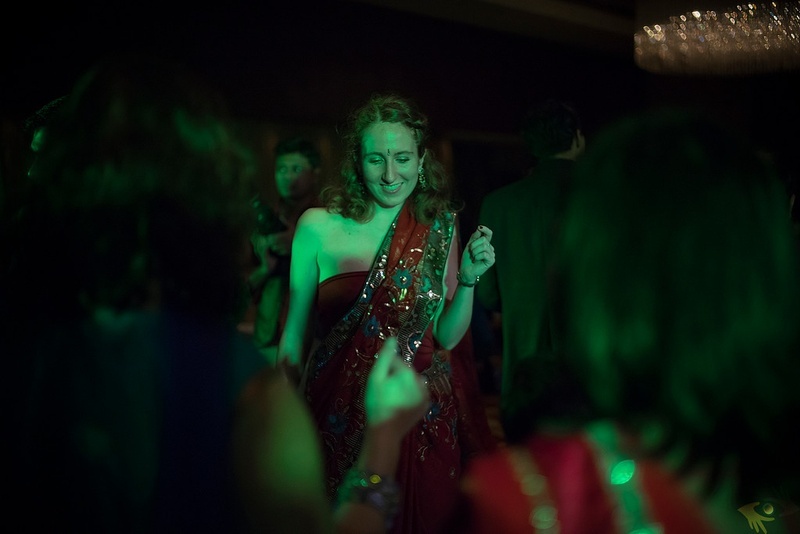 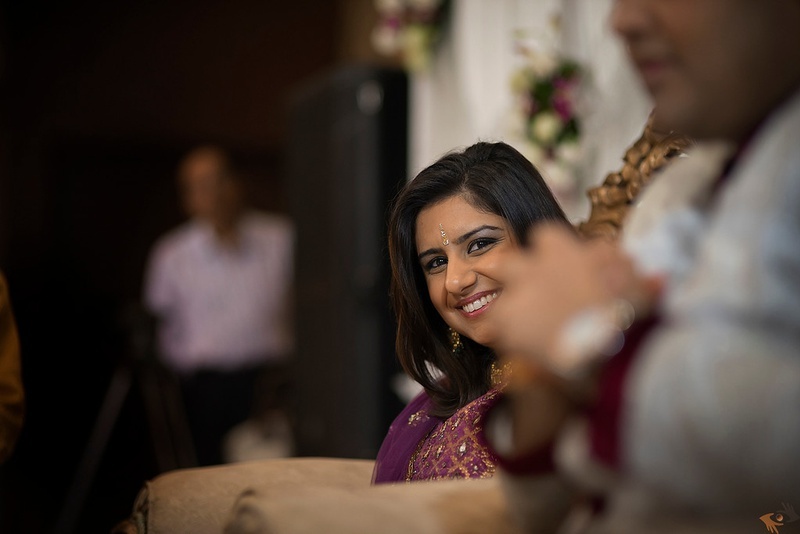 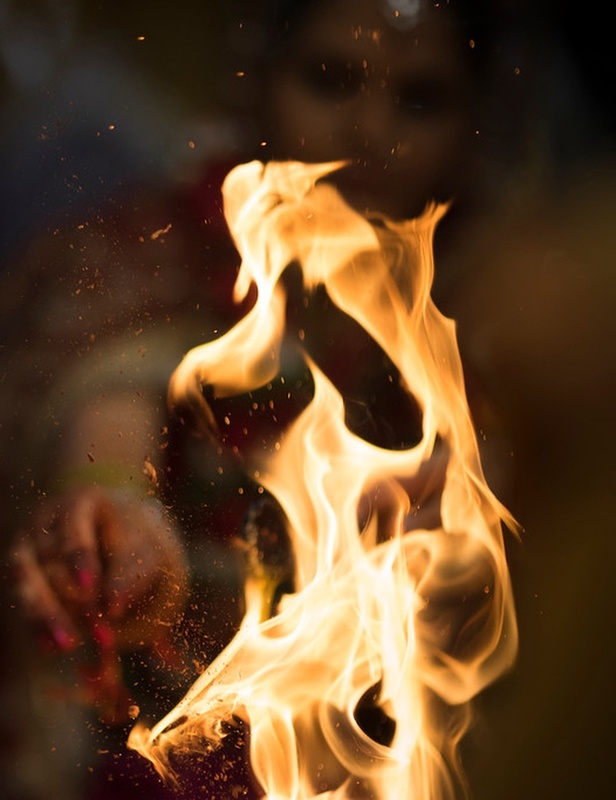 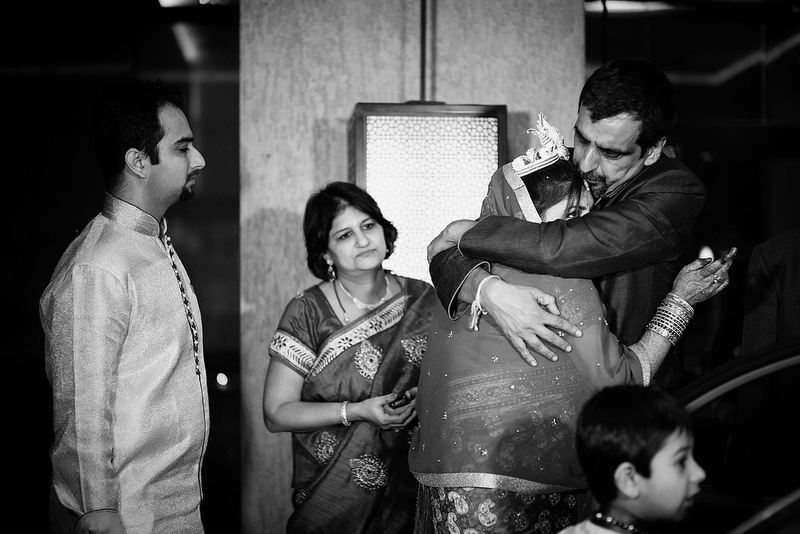 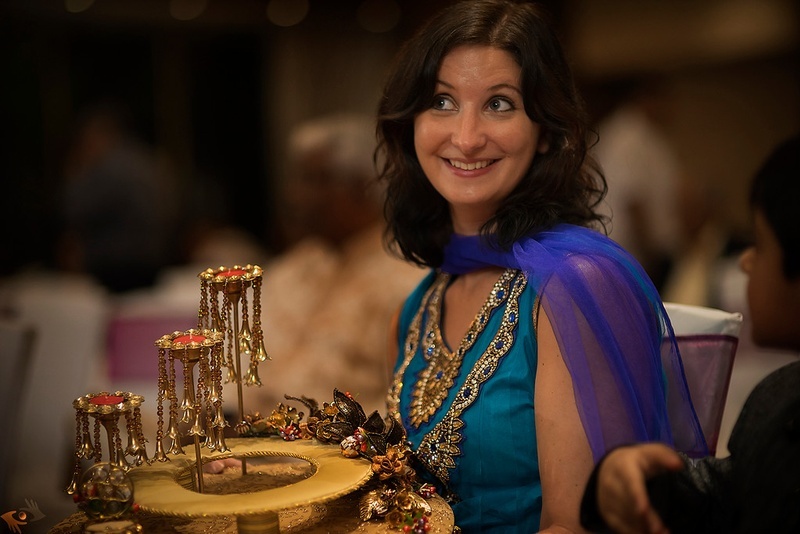 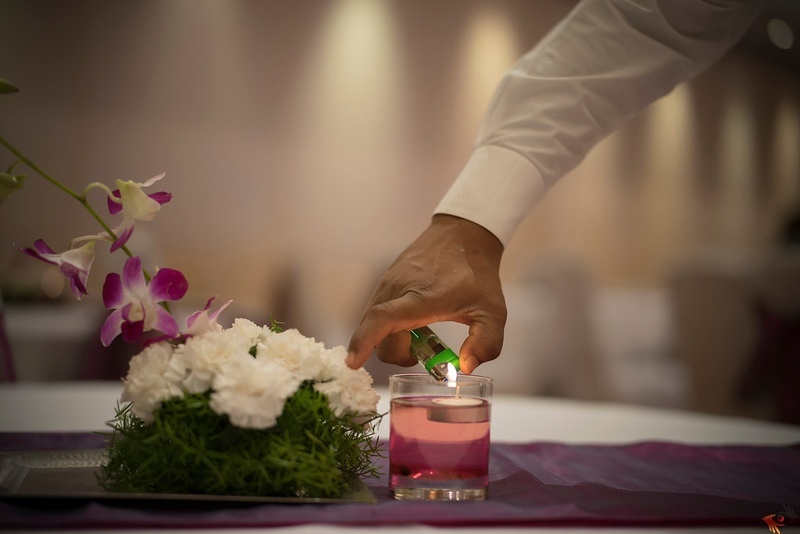 The highlight of this traditional Bengali wedding was the emotional Bidai Ceremony. 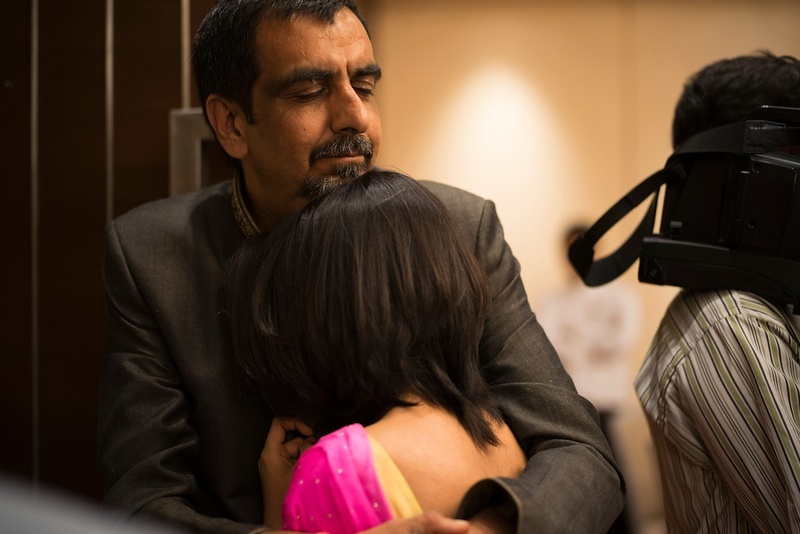 In a very touching moment, the bride can be seen exchanging a warm hug with her dad, as she walks into a new phase of life. 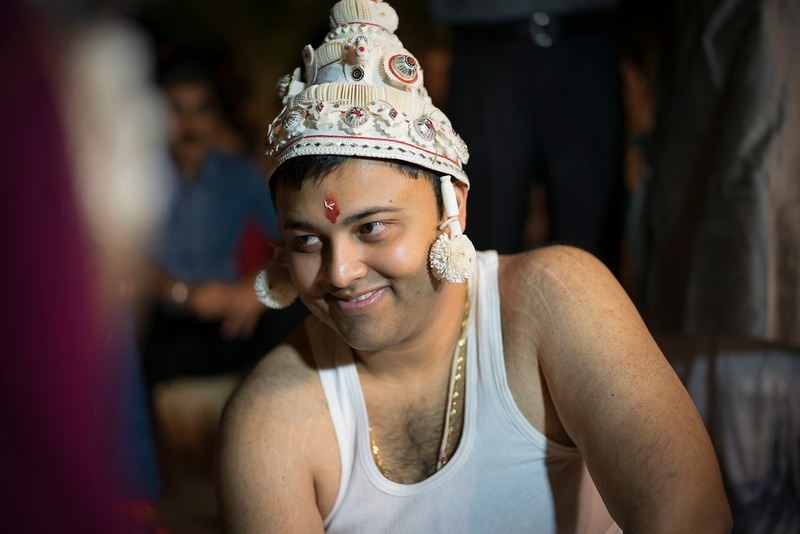 The Wedding Knights headed by the famous and very talented wedding photographer, Vivek Tickoo captured the entire wedding ceremony. 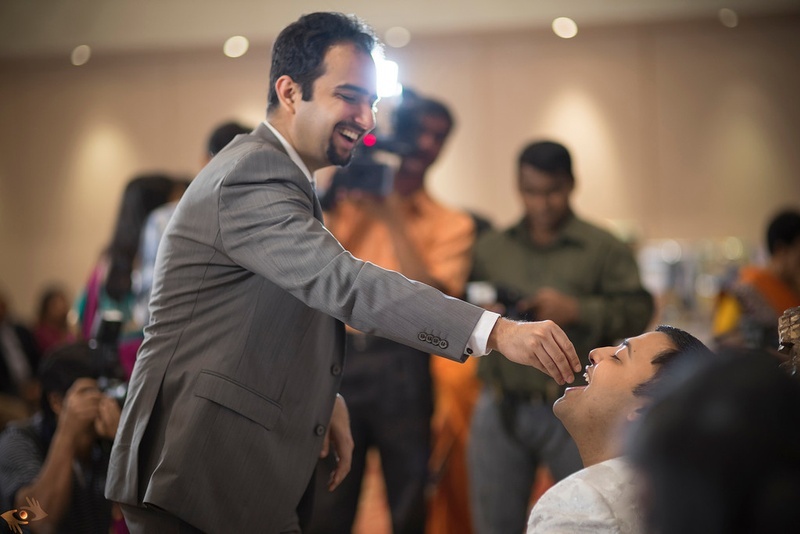 Let’s have a look at few moments from their special day!